Correct! You are totally prepared for amigurumi then, that’s all you need to know. Pick a cute pattern, get some stuffing, and go to town. This guy took like an hour to crochet and stuff, plus another half hour or so to make and sew on the stem and leaves. Super easy construction! A “water balloon” I’m having a go at crocheting. 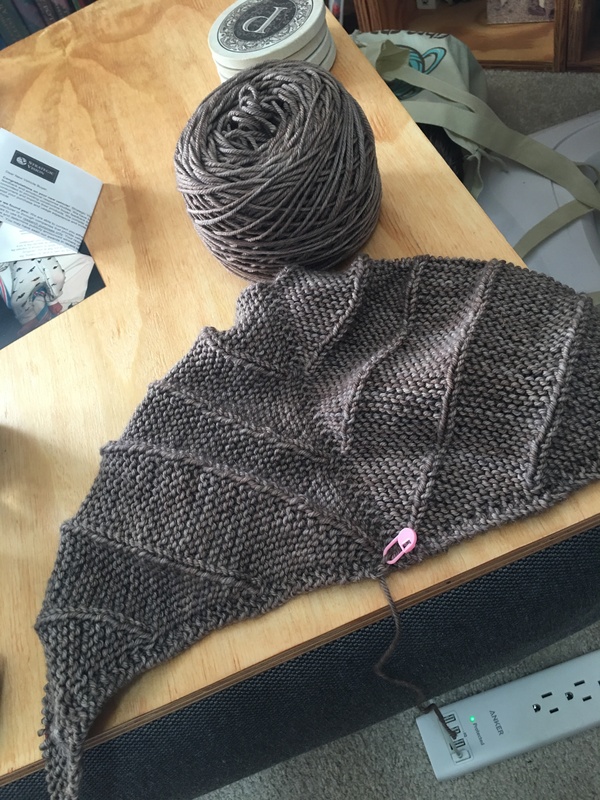 Rookie knitter question: how often do you switch yarns when working with two skeins? I’m doing my shawl in a single color, but I’m using hand dyed yarns so there’s variation between the two and I don’t want to make the mistake I made last time where it is obvious where the new skein was added. I also could maybe get away with it because 1 skein is 400 yds and the pattern calls for 670, by the time I run out of the 1st skein I’ll probably be into the lacework and it would be less obvious that I’ve added a new one? I alternate every other row working flat, and every round working in the round. For my sweater above, I’m alternating every round for the body, but didn’t alternate on the sleeve and you can see it’s slightly darker/more blue than the body. I don’t mind if the sleeves vary a bit from the body as long as they match each other. 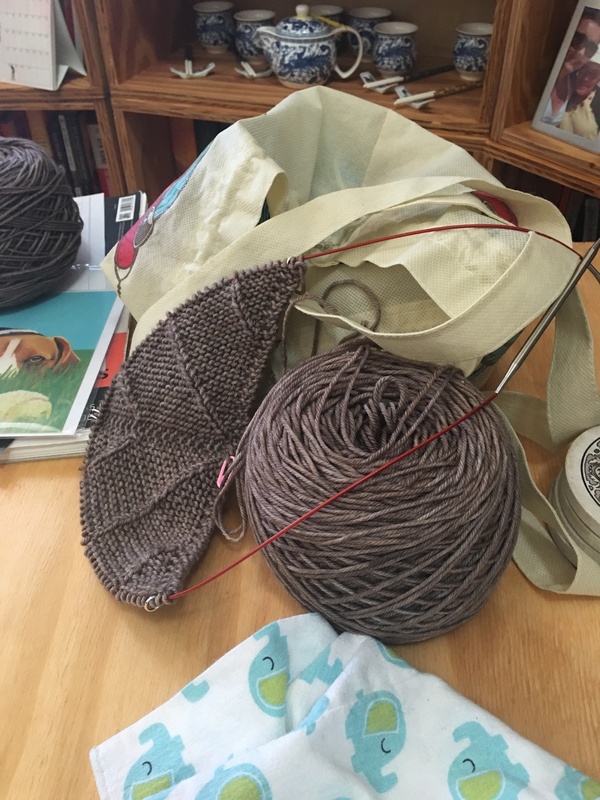 Switching frequently is usually the easiest, since you don’t have to worry about counting rows between switches or carrying the yarn up evenly, and it’s the most even blend. On the other hand if you don’t want to manage two balls of yarn the whole time, or if you want to use up one skein completely so you only have one partial leftover, you could knit up most of the first skein, then join the second and alternate until you run out of the first. You’d get more of a gradient/fade effect, but still looks nicer than an abrupt shift. I’d say the more the two skeins differ, the sooner I’d want to join the second to get a longer blended section. I definitely compared several skeins at the shop before they wound them to get the two closest in color, so I might be able to do it toward the end and be ok, thanks for the tips!! New WIP I started this weekend. Doubling the length of the pattern to make the biggest squishy cuddly couch blanket. 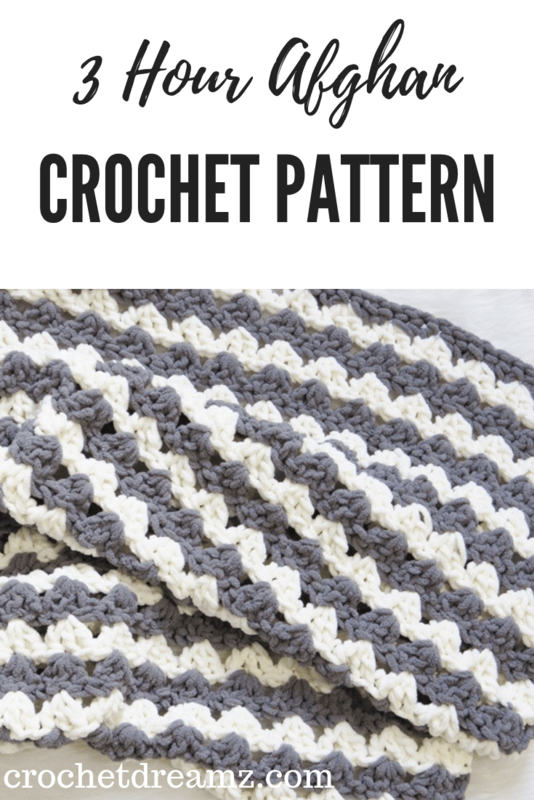 A free crocchet balnket pattern that works up in just 3 hours. Chunky, squishy and beginner friendly, this one will be perfect for last minute gifts. 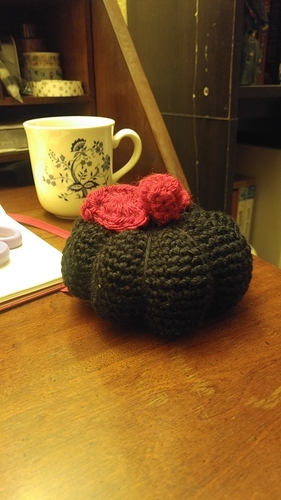 I am posting in this thread so it will come up for me, evne though I have not yet gotten around to taking pictures of any of my WIPs. I am making it in a lovely eggplant recycled silk and I just KEEP. DROPPING. STITCHES. But I will be victorious. Have you tried adding a lifeline? May help with the dropped stitches! I did try adding a lifeline but it didn’t work very well. I think I was trying to use the second method without needles with holes. Thank you so much for the link! 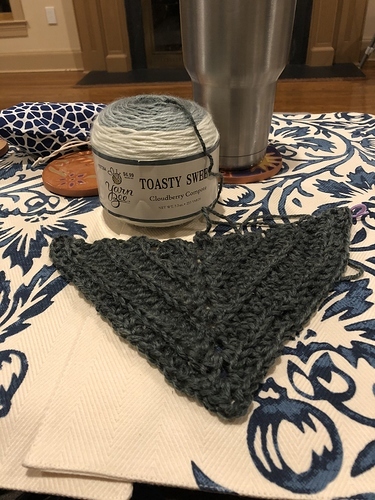 I always forget to use lifelines the first time, definitely going to do that before I get to the lacework on my shawl. Speaking of which, I got yarn for it and started but I’m disappointed. 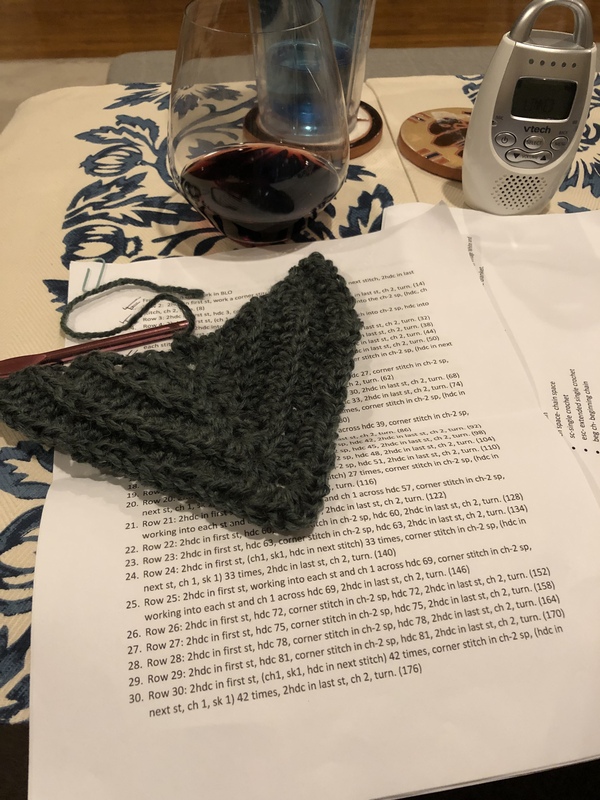 The yarn shop didn’t have the very light grey I was hoping for, so I got the grey that my giant wine poncho was made in before I dyed it. It’s a beautiful yarn but I wanted something lighter. But I also wanted to start over the weekend so I compromised. I guess I can always make it again once I find the right yarn. What is the adorable elephant fabric? 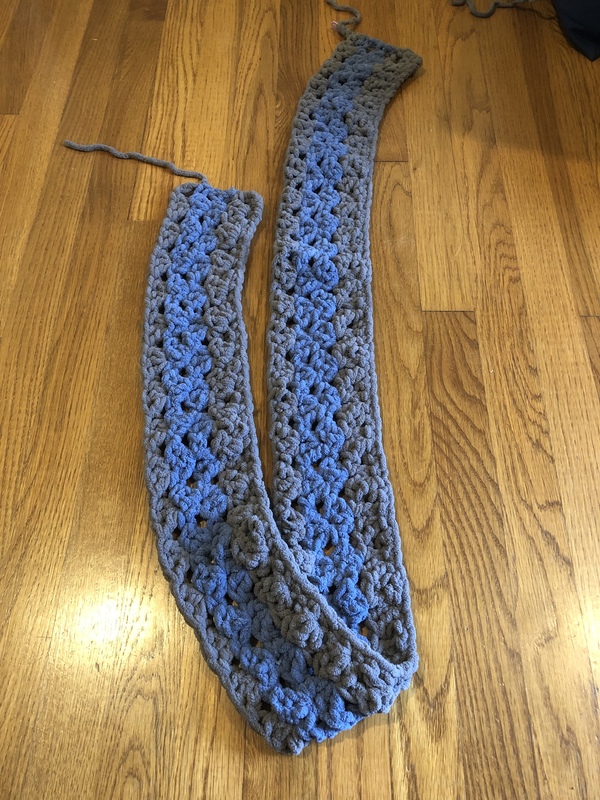 So I ran out of yarn for the big squishy blanket and my crochet budget is $0 at the moment so I switched back to a triangle scarf I had been trying to make but have frogged a million times because there is something strange with the stitch counts every time I get to line 11. I started marking every stitch change with a marker and STILL ran into the count issue. But I have seen at least a dozen others post about finishing the pattern with pics etc so knew it was ME and not the actual pattern itself. Well I FINALLY figured it out last night. The pattern says “hdc working into each st and ch 1” I was reading this as do hdc into each st then ch 1, it actually was referring to the fact that the previous row was alternating hdc and ch 1. To me, the pattern should read either “hdc working into each st” OR “hdc working into each hdc and ch 1” the way it was actually written confuses me. Is it me because I’m a beginner or does that seem a little confusing to more experienced crocheters here? 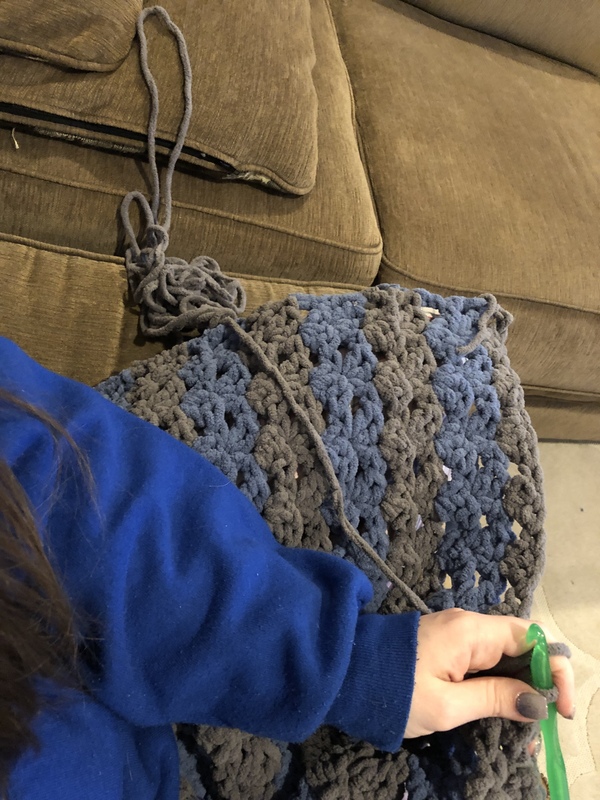 Join Meghan from Meghan Makes Do and Furls Crochet for the January 2019 Crochet-a-Long. This month we are making a free crochet triangle cowl pattern, the Huckleberry Scarf. 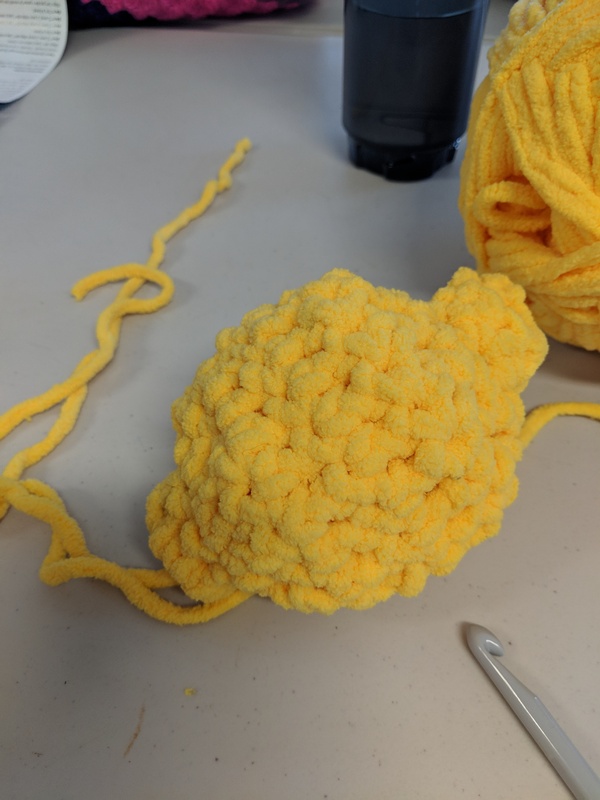 I know zero about crochet, but it looks pretty! Re: the pattern, that’s definitely confusingly written. I would have made the same assumption as you – chains are stitches! Why call it out separately if you’re not asking someone to work an hdc and then a new ch?! I too would have preferred “hdc working into each previous st” and then giving a count of the number of stitches you should have at the end of the row. @QueenAlice I don’t speak crochet yet but that does seem confusing. Must be satisfying to have figured it out though!